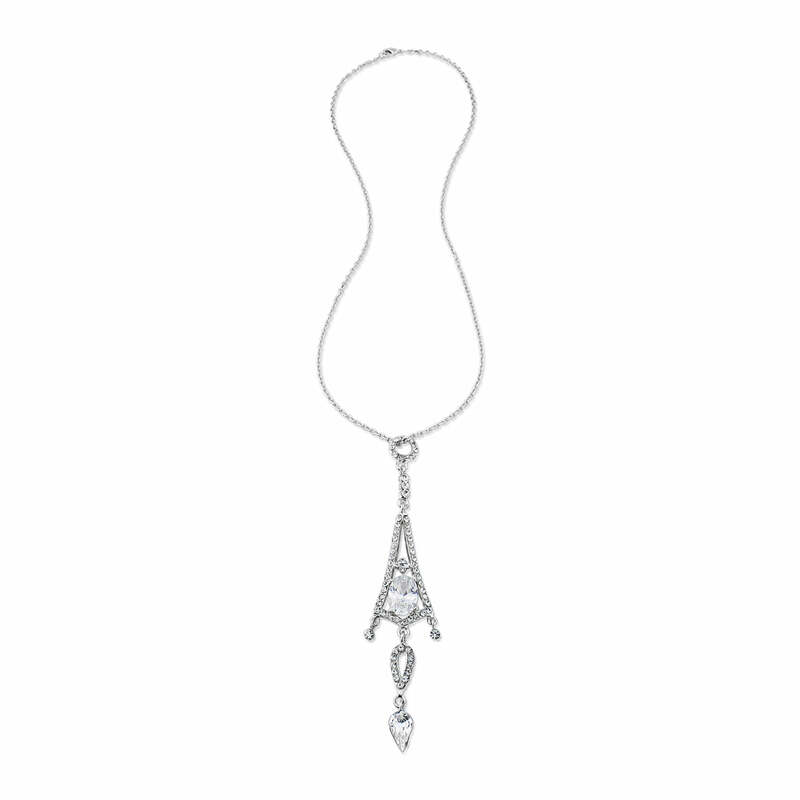 Exquisitely elegant, our Deco Darling Jewellery Set captures Art Deco charm in stunning crystal drop earrings and coordinating pendant. Capturing the elegance and class of Art Deco style, our Deco Darling Jewellery Set will capture the hearts of all 1920s fans. 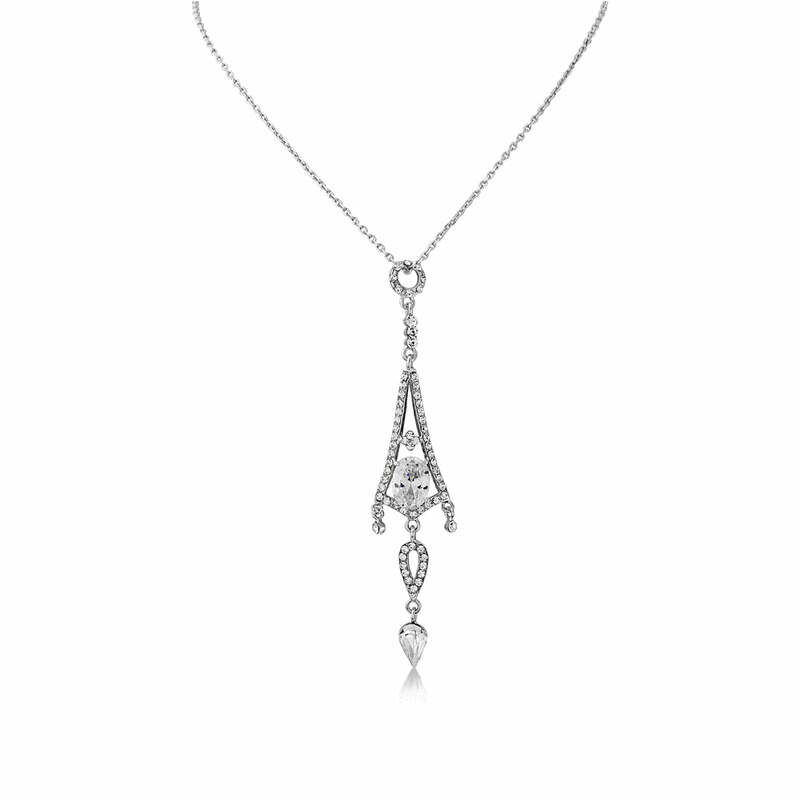 Featuring an elongated triangle encrusted with sparkling Austrian crystals and cubic zirconia, this earrings and pendant duo is the essence of vintage charm. 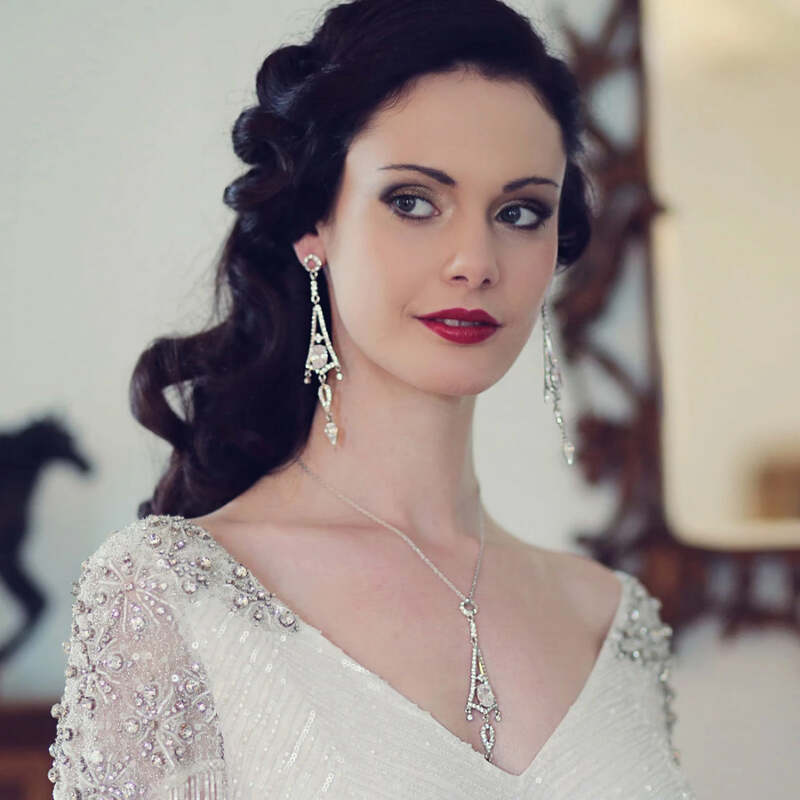 An exquisite wedding jewellery set for brides with a Gatsby theme, choose either piece for a subtle look or wear both pieces for pure bygone glamour. Whether your gown is classically vintage or you just wish to add a hint of 20s glitz, this elegant duo add the perfect finishing touch. The perfect pieces to instantly transform an outfit for a special occasion, wear the pendant alone with a v-neckline for dinner party elegance or add Deco Darling earrings too to add the wow factor to a show-stopping gown.